Dental Sealants are one of the best tools for protecting against tooth decay. The application process is fast and painless and will last for a very long time. Sealants can help adults and children alike to avoid unpleasant procedures like fillings or crowns. Sealants are a thin, plastic coating painted on the chewing surfaces of teeth. Typically, they are applied to the back teeth to hinder tooth decay. This rapidly forms a protective shield over the enamel of each tooth as it fastens into the grooves of the teeth. They are a tremendous tool for fighting against tooth decay. Thankfully, They protect these tough-to-get-to areas from further damage by “sealing out” plaque and food. It is not always easy to access the back teeth to remove food particles and plaque from the surfaces of teeth. Even brushing and flossing diligently are not always 100% effective. How are Dental Sealants Helpful? Generally, they are placed on the tooth in liquid form and then cured chemically or with light activation. To prepare the tooth for bonding with the sealant system, the tooth surface is first treated with an acid etch to intensify wetting of the tooth and to maximize mechanical retention of the sealant. There are several benefits, even though they are known as a procedure aimed toward children. But despite one’s age, we are all susceptible to tooth decay and this can reduce this occurrence in anyone. Sealants do not allow bacteria to grow. Ultimately, dental sealants are a great form of prevention. Spending a little money now ensures hard-to-reach areas won’t produce costly dental procedures later in life. Are Dental Sealants Useful for Adults? Yes. Although used less commonly for adults, they are sometimes placed in adults who are at risk for decay. That’s only if deep grooves and fissures do not contain fillings. Most insurance companies will not allow coverage for sealants above the age of 14. Due to the possibility of developing decay in the depressions and grooves of the back teeth, children and teenagers are primary candidates. But there are adults who can benefit from sealants even though they may not have decay or fillings in their molars. Typically, children should have them placed on their permanent molars and premolars as soon as these teeth grow in so they can guard the teeth through the cavity-prone years, ages 6 through 14. 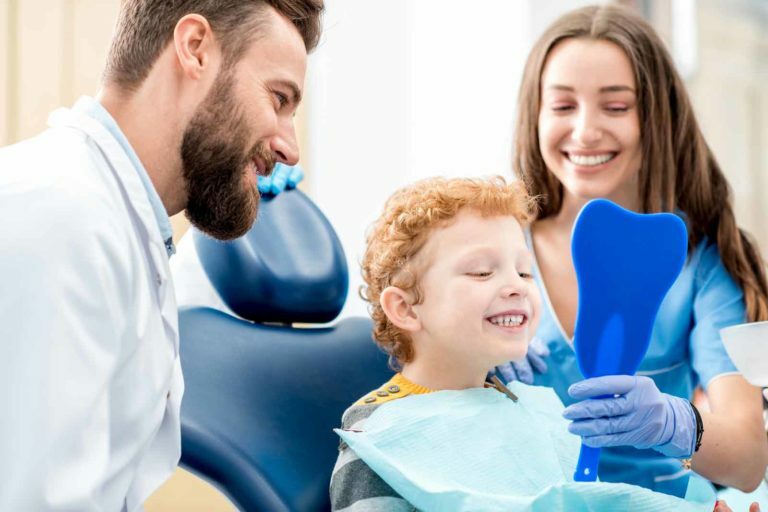 For children under the age of 14 Insurance companies consider sealants at preventative care and falls under 80% to 100% covered. Contact us if you’re interested in a free consultation with Dr. Bainer for dental sealants in Escondido. Nitrous Oxide – Is It Beneficial? During this type of procedure, the patient is awake but relaxed during the treatment period. He or she will inhale nitrous oxide given by Dr. Bainer better known as laughing gas, combined with oxygen, through a mask placed on their nose. This gas is colorless, non-irritating and has a slightly sweet odor. It facilitates relaxation and eliminates the patient’s fear, nervousness and tension caused by his or her apprehension about dental treatments. Moreover, the patient remains in complete control meaning they are aware and can follow the instructions of the dentist. It provides a firm foundation for faster dental care, with comfort and safety. Nitrous oxide works very quickly. It reaches the brain within 20 seconds after the application of the mask and the benefits of relaxation and pain relief are felt after 2 or 3 minutes. Nitrous oxide is a great tool because its increases in dosage allows the dentist to provide the desired coverage easily. This action is called the “appropriate titration” and is essential to patient care and comfort. This technique allows precise control of the sedation medicine administered at any time during treatment. Some other techniques in application do not allow these adjustments. The effects of nitrous oxide are, therefore, virtually instantaneous and can be easily reversed with the addition of oxygen (as needed). The patient will be back to normal before they leave the office, okay to drive and carry on with their day.